This entry was posted in Denture and tagged clasp, complete palate, gingival margin, indirect retention, maxillary major connectors, palatal tori, partial denture, partial prosthesis, posterior palatal bar, rigidity, toris palatinus on June 19, 2012 by chzechze. This entry was posted in Denture and tagged burnable waste, clasp, dentures, ecological rucksack theory, gold, pallidium, recycle, silver, tokyo, UNICEF on October 10, 2011 by chzechze. Are you a long time denture wearer? 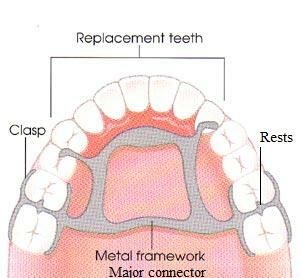 Have you ever wonder what are those components present on your partial dentures? 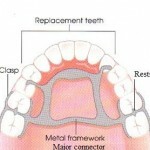 This entry was posted in Denture Cares, Oral Care and tagged clasp, components, connector, Denture, removable partial denture, rest, rest seat on August 24, 2011 by SH.